"How do I delete multiple photos from the Camera Roll? 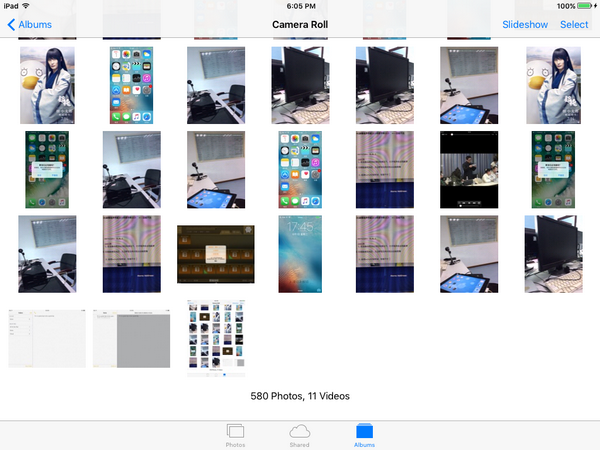 – How do I delete multiple photos from camera roll without doing it one at a time? thanks." Many people have met such problems when they use iPhone or iPad. And also, there are quite a few people who asked me questions like "how to delete camera roll on ipad" or "can ipad delete camera roll". Actually, you couldn’t delete Camera Roll on iPad unless you make a jailbreak. Camera Roll is a default photo folder to save photos taken with Apple’s camera. Therefore, the situation that most people ask about "iPad delete camera roll" actually means deleting photos from Camera Roll on iPad. In this guide, the phrase "how to delete Camera Roll on iPad" also means deleting photos from Camera Roll on iPad. Open the Photos app on your iPad. Go to the "Album" column and then open the "Camera Roll" folder. To delete one photo from Camera Roll on iPad, just open it and then click the trash button. To delete multiple or all photos from Camera Roll on iPad, in the "Camera Roll" folder, click the "Select" button and then select the photos you want to delete. After that, click the trash icon to delete photos from Camera Roll folder. It would be extremely easy for you to delete Camera Roll photos on iPad. Remember to go to the "Recently Deleted" folder in "Album" to click "Select > Delete All" option to permanently delete Camera Roll on iPad. In this way, you could make iPad delete Camera Roll photos. 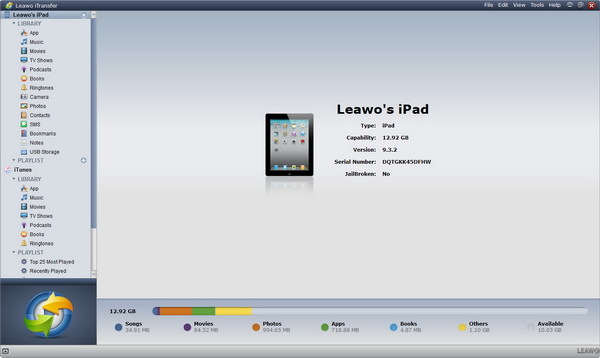 Also, to delete photos from Camera Roll on iPad, you could make this done on computer with the help of Leawo iTransfer, a professional iOS data transfer software app that could help you directly transfer up to 14 types of data and files between iOS devices (iPad, iPhone, iPod), iTunes and computer. 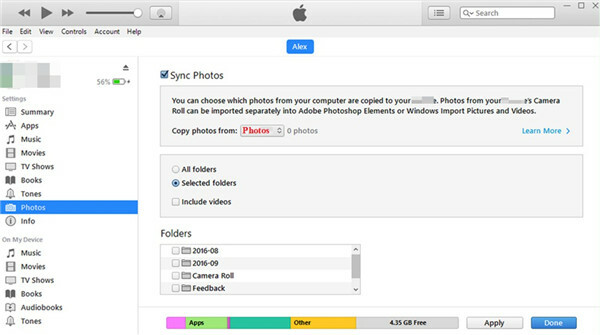 Meanwhile, as an iOS data manager software app, it could also help you delete photos from Camera Roll on iPad in clicks. Download and install this iTransfer on your computer. 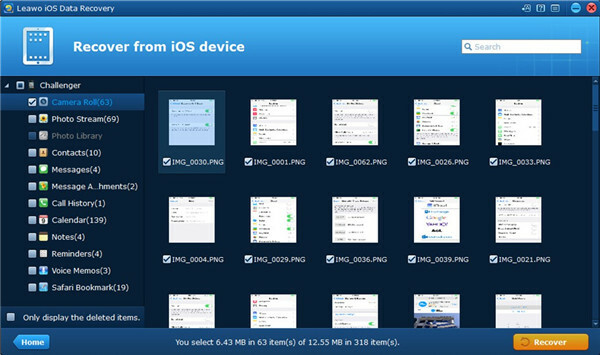 Check the below steps to learn how to delete Camera Roll on iPad with this iPad data transfer and manager software app. Run the software and connect your iPad devices to computer with USB cable. You could see your iPad on the left sidebar. Go to " iPad > Library > Photos" tab. You could then view all photos on iPad within this iTransfer software. Check the photos you want to delete by ticking before them. After selecting photos to delete, click the "Delete" button in the upper of the right panel. Then you will be asked to confirm the deletion. Confirm this operation. iTransfer would then start to delete photos immediately. It is also feasible for you to make use of iTunes sync function to delete camera roll on iPad device. As for how to finish this task with iTunes, you can read the following step-by-step instructions to make it. 1. Fire up the latest version of iTunes on your computer and then click on “Edit > Devices” to tick the option of “Prevent iPods, iPhones, and iPads from syncing automatically”. Click on “OK” button to save your settings. 2. Insert iPad into your computer and then click on your iPad icon. Choose the tab of “Photos” under the menu of “Settings> Summary” to hit on. 3. In the right part of the window, you need to choose “Sync Photos” to tick. Under this option, select “Copy Photos from [Photos]”. 4. Create an empty folder on your computer. 5. After that, you can choose to click on “Selected folders” to choose the empty folder that you have just created. 6. Hit on “Apply” button at the bottom right corner of the interface to begin to sync. This syncing process will remove all the synced pictures from iPad. However, you will lose some photos you desire to keep on your iPad as well, which is not so satisfying. To resolve the problem of how to delete camera roll on iPad, you can resort to Windows Explorer for assistance. This way is also quite direct for you to use. Now let’s begin to take a quick tour on how to complete this task straightforwardly in DCIM folder of Windows Explorer. 1. Insert your iPad into computer with suitable USB cord. 2. 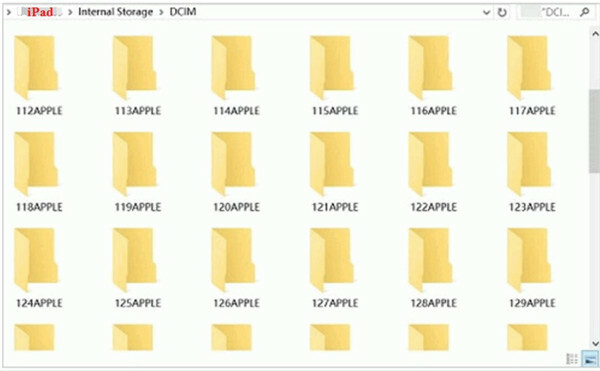 Kick off Windows Explorer on your computer and then move to the DCIM folder of your iPad. 3. Choose the images that you would like to remove. Right-click on one of them to use the “Delete” option to get rid of them right away. Image Capture is one great tool that you can use on Mac to manage your photos, which can also be applied to remove camera roll on iPad successively. 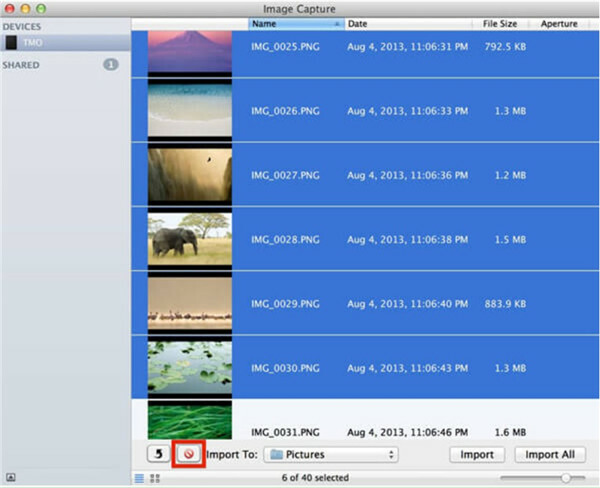 It is quite simple for you to handle this issue with Image Capture on Mac. Follow the steps shown below and you will know how to make it smoothly. 1. Plug your iPad into Mac computer with matched USB cable. 2. Run Image Capture on Mac, and it will show all your iPad images in the interface. 3. Choose the pictures you desire to remove and then hit on the small red icon at the bottom of the interface. 4. In the pop-up dialogue, you need to confirm your deletion. Thus, it will begin to remove your iPad photos immediately. The five solutions mentioned above are all quite useful for you to delete camera roll on iDevice. However, what can you do to find back the camera roll photos once you delete them by mistake? If you are confused by this question, you can continue to read this part to get rid of this issue. Here I would like to recommend you to use Leawo iOS Data Recovery to retrieve deleted camera roll perfectly. This tool can be applied to recover various kinds of files like numbers, messages, photos and so on from your iOS device. Apart from that, it is also a well-known backup tool for iDevices. The safe and accurate features of it accumulate a good reputation among users. Now let’s begin to view how to use this software to restore deleted camera roll quickly. 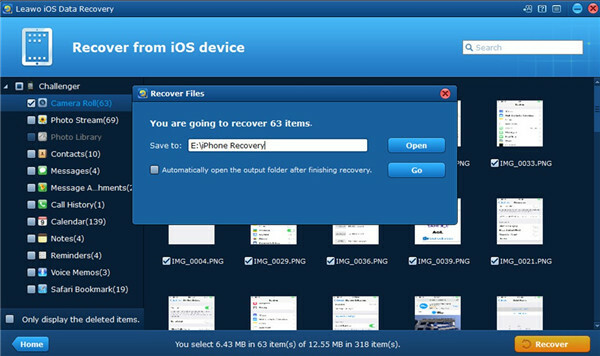 Run Leawo iOS Data Recovery on your computer and then select the option of “Recover from iOS Device”. Plug your iDevice into your computer with a matched USB cord and then hit on the “Start” button in the middle of the interface under the iDevice image. 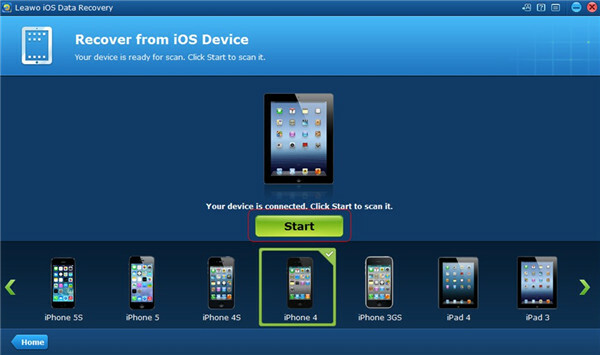 Thus, the program will begin to scan your iDevice data right away. When the scanning process comes to an end, you can check the tab of “Camera Roll” to view all photos of it in the right side of the window. Choose the pictures you need and then hit on the button of “Recover” at the bottom right corner of the screen. In the panel that shows up, you need to hit on the “Open” button to set a target folder for the restored camera roll images. Then you can tap on the “Go” button to begin to recover photos deleted from camera roll. After a while, your camera roll images will be available in the folder that you just set on your computer. 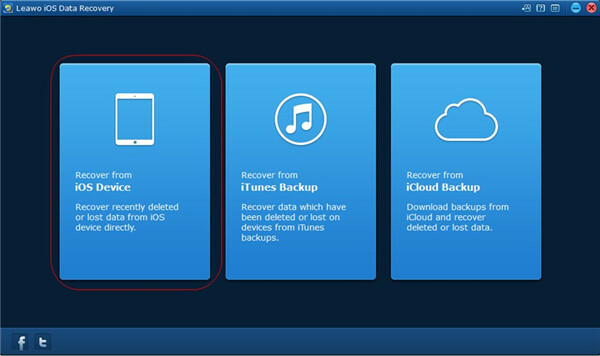 This iPhone data recovery program also allows you to recover files from iCloud backup or iTunes backup in case you need. After reading over the contents in this tutorial, you will be clear on how to delete camera roll on iPad with different methods and how to recover deleted camera roll with a professional tool. If you are fond of this guidance, you can also recommend it to your friends. Maybe they are just in need of such great solutions to the same issues.